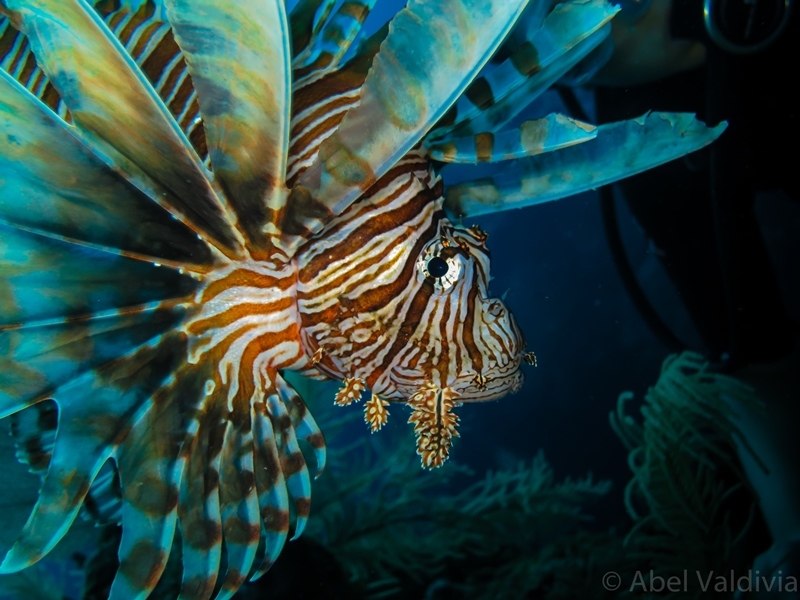 Lionfish are beautiful fish, but they are invasive in Atlantic and Caribbean waters. They are harming invaded ecosystems by eating too many juvenile fish which leads to smaller adult fish populations, less food for native predators, and changes in important ecosystem processes upon which both marine animals and humans depend. So what can we do about this widespread threat? Spear and eat lionfish! They taste just like snapper or grouper and are even higher in Omega3 than both of those traditional options. Lionfish are venomous, not poisonous, meaning their toxins are only in their spines and their meat is perfectly safe to eat. So don’t let those spines scare you away! The next time you are at the coast or in the Caribbean, eat lionfish! You can also check out the REEF Lionfish Cookbook! Or learn how to filet your own lionfish! Tags: Bahamas, Caribbean, Lionfish, Marine biology. Bookmark the permalink. This is an awesome idea and it is great to see local people getting involved in this pressing ecological issue! We would love to hear more about this program so please keep us updated!